Fight bad guys using an on-screen piano to switch between party members and pull off melodic combos! 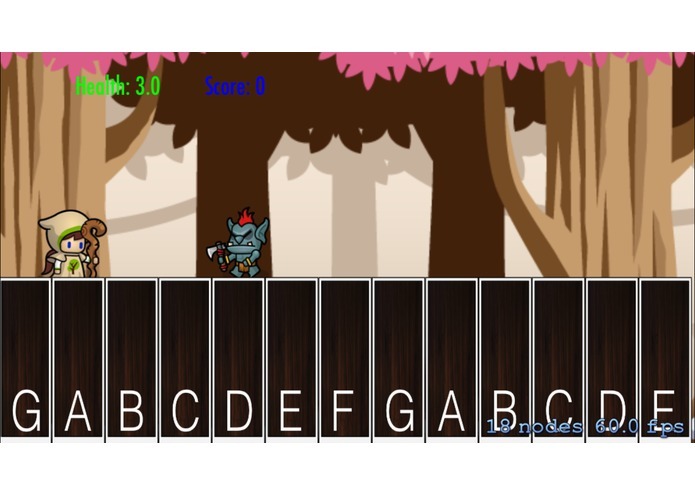 Resonant Melodies is a piano-based RPG built using SpriteKit for iOS. Using the lower keys on the keyboard, you can switch between different party members of different classes. Use the upper keys to pull off attacks, combos, and magic! Every enemy that enters the screen plays two notes, known as their unique 'Resonant Melody'. By pressing the lower C key on the piano, you enter into Resonance Mode. If you play back the enemy's Resonant Melody to them while in Resonance mode, the enemy will shatter into pieces (like resonant frequency!). As a real world bonus, this mode will help you learn relative pitch, the ability to identify or re-create a given musical note by comparing it to a reference note and identify the interval between those two notes. Pressing the lower A key on the keyboard switches your party member to Amos the Attack Wizard. 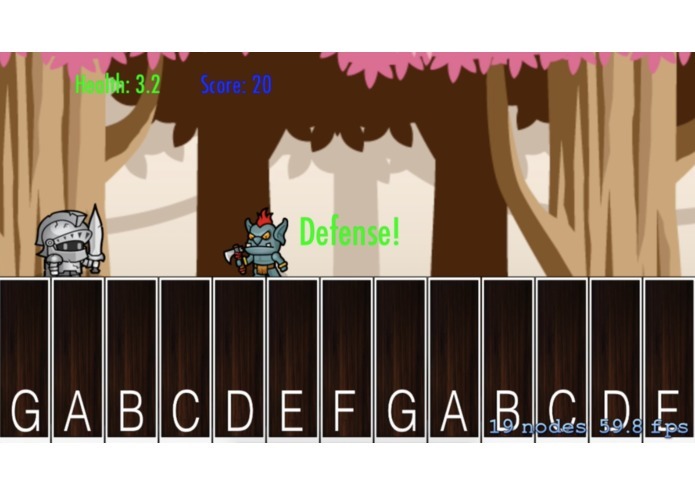 Play specific combinations of notes on the keyboard to perform combos in the game that boost Amos's attack! Press the D key to switch to Dvon the Defensive Knight. Dvon takes only half of the normal damage when an enemy strikes. He's incredibly helpful in a pinch! Press the G key to switch to Gigi the Mage. You can use strings of notes to perform spells with Gigi, such as healing your party members, or slowing enemies down! I'm a CS Major at the University of Georgia who loves making iOS Apps!